The UNITED PHOTO PRESS, hereafter UPP reserves the right to change this website and your access, without notice and is not responsible for any damage or loss of any nature is due to the lack of continuity and service availability. The UPP can not guarantee the absence of virus in their portal or the existence of other factors that may produce changes in the system of the user or in files or documents stored on your computer system, is not responsible therefore for any damage or injury that scope. By accessing this site you expressly accept the terms and conditions that the UPP is to be reported in this Legal Notice, and its misuse and abuse punishable by law. Any attempts to change information, upload information, or any other action that may cause damage and / or jeopardize the integrity of the system, is expressly prohibited and may be punished according to law. The UPP reserves the right to refuse or withdraw access to its portal, at any time and without notice to users who do not meet the legal notices. Disclaimer of Liability The material contained on this website consists of general information and indicative only and may not be the UPP liable for any errors or omissions that are the same. The portal of the UPP is sometimes linked to external sites over which it has no control and for which assumes no responsibility. All content provided by external entities, properly identified, are the sole responsibility of those entities. The UPP demand, however, that these contents have high levels of reliability and credibility can not, however, give any guarantee as to its accuracy and its timeliness. The purpose of this site to minimize disruption caused by technical errors, however, some data or information contained on this site may have been created or structured in files or formats that are not error. The UPP can not guarantee the uninterrupted or no disruption of service due to technical problems. The UPP assumes no responsibility for problems that arise for the users or others as a result of using this site or any linked external sites. The UPP can not be held liable for any damages arising from use of this site or sites to which we provide links. The contents of this site is protected by Copyright and Related Rights and Industrial Property Rights under the laws of the European Union and other international conventions and may not be used outside the conditions of this site. The User may copy, download or use information or symbols on this site for personal or public use provided that such use does not derive profit or offensive purposes. Reproduction authorized provided the source, since it is not intended for commercial or offensive purposes bringing the good name of the UPP or their associates, and is intended for illegal activities. It prohibits repeated and systematic extraction of information contained on the site, even when not protected, provided that doing so would result in a direct or indirect damage to the UPP. Privacy Statement under Art. 35 of the CRP and Law 67/98 of 26 October, the information collected on users of the portal of United Press Photo is not personal, so that it ensures confidentiality of the identity of the visitor. There will, however, place the identification of users whenever they commit illegal acts within the site, violate their code of conduct, or as requested by judicial decision. 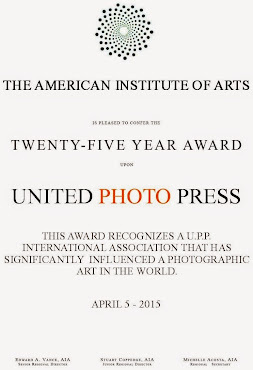 The text, photographs, images and logos of the UPP will not be used for commercial purposes, reproduced, published, broadcast, rewritten for broadcast or publication or redistributed directly or indirectly in any medium without prior permission. The UPP will not be liable for any delays, inaccuracies, errors or omissions in any content of the UPP or for any actions taken in consequence. The materials of the UPP may not be stored on a computer, in whole or in part, except for personal non-commercial use. As a newswire service, the UPP does not obtain authorization from the subjects, individuals, groups or entities contained in its photographs, graphics or quoted in the text. Moreover, it is not obtained any permission from the owners of any trademarks or material subject to copyright material the marks and appear in photographs or content of the UPP. You shall be solely responsible for obtaining any necessary permission from any individual or entity regarding any use of material from the UPP. You agree to indemnify the UPP for any losses, damages and expenses (including reasonable legal fees arising from legal representation) incurred as a result of any claim based on use by a user of material of the UPP in violation of these terms in the headquartes national territory.